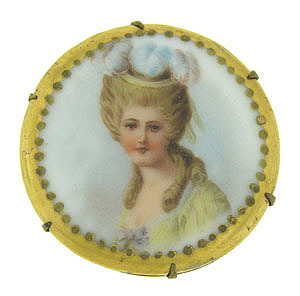 This hand painted porcelain pin features a beautiful socialite adorned in pale yellow and wearing a hat of curling feathers. The fantastic, detailed portrait pin is framed in gold leaf and finished with a simple pin back. 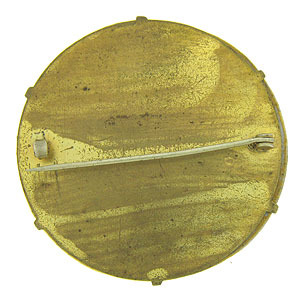 The antique pin measures 1 3/4" in diameter. 19th century.